The British are known for their humour, evident from famous sitcoms like Bottom (love that TV series because there’s a character named Eddie Hitler), Blackadder, Yes Minister and of course, not forgetting Mind Your Language. For me, I get my dose of British humour from inside Westminster, where debates between members are far more interesting that the one over at Clarke Quay. As the UK Parliamentary Elections concluded last Saturday, with the country looking set to be governed by a minority government, we look at the lighter part of the entire campaign which will give you the impression that there are so much more than casting a ballot. 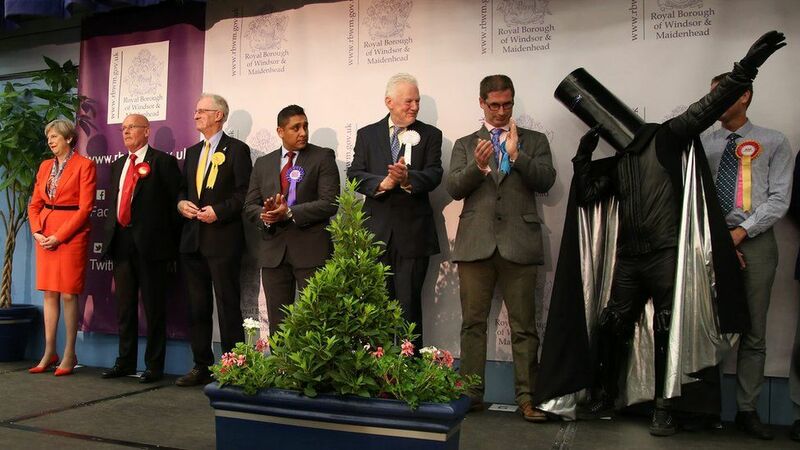 YOU SEE ME DAB, YOU HATIN’: Lord Buckethead dabs as he awaits the results with the other candidates. Lord Buckethead is simply the candidate with a bucket headgear and no one really knows his real identity. However, it is no secret that Lord Buckethead contested twice previously, once in 1987 against then-PM Margeret Thatcher (Finchley) and in 1992, against the then newly appointed PM John Major (Huntingdon). The Gremloid party candidate received 131 votes against Thatcher and 107 against Major. This time round, he received his highest ever votes at 249, which he took to Twitter to gloat a bit. You saw that correctly. 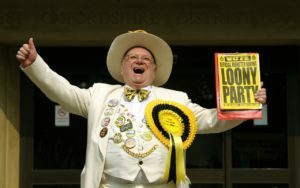 The Official Monster Raving Looney Party was founded in 1983 by English musician Screaming Lord Sutch. He was succeeded by Alan “Howling Laud” Hope in 1999 when he passed away. Hope stood for elections against a series of high-profilers, including David Cameron (Witney) in 2010, Boris Johnson (Uxbridge & South Ruislip) in 2015 and Theresa May (Maidenhead) during this election. He was previously the Mayor of Ashburton in 1998. Despite calling voters to “vote for insanity”, there are actually times when their policies eventually became part of UK laws. One, for instance, is the liquor law. Previously in the UK, 24-hour drinking wasn’t legal (sounds familiar?). The party campaigned for all day opening of pubs in the 1980s and then all-night opening in 1997 when the former became a law in 1995. The party was a campaigner for animal rights as well, hence their call for pets passport to be introduced in the 1983 elections. The policy eventually came into existence in 2001. Well… Not all crazy ideas are insane. You can view the results of the rest of their party candidates HERE. 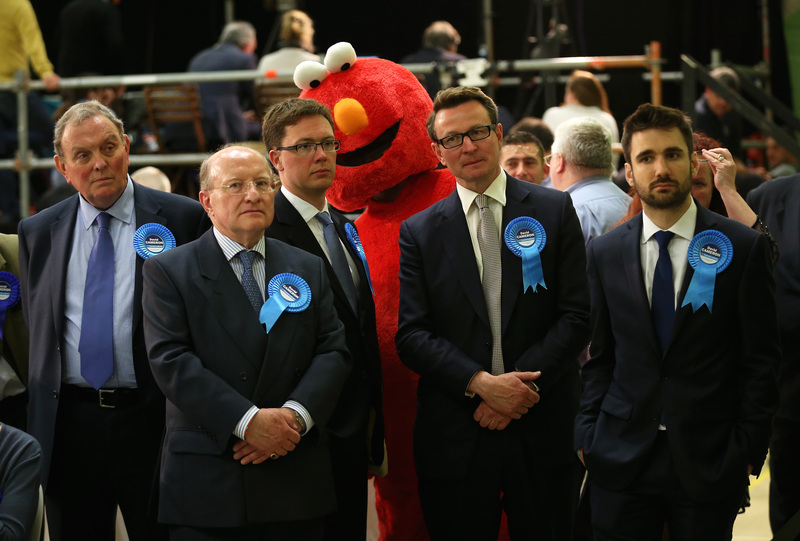 ELMO LOVES YOU, BUT YOUR VOTES MORE: Elmo returns to the ballot again after losing out to David Cameron in 2015. Another figure who stood alongside Theresa May definitely attracted some attention. Elmo. You must be thinking why would there be a candidate putting on an Elmo costume and standing for the election. He wasn’t there without any personal agenda. The man behind the costume, Bobby Smith, is a father rights activists. The father-of-two wanted to change the law with regards to the equal custody of fathers in the family courts after his own experience. He previously ran under the Give Me Back Elmo Party banner in 2015 against former British PM David Cameron at Witney, garnering 37 votes. He ran as an independent candidate this time round after his party was deregistered last year, receiving 3 votes, which he claimed not to be from him nor any of his family members. Watching UK politics is like watching The Noose but with more reality element to it. It’s time to make Singapore’s politics more interesting.